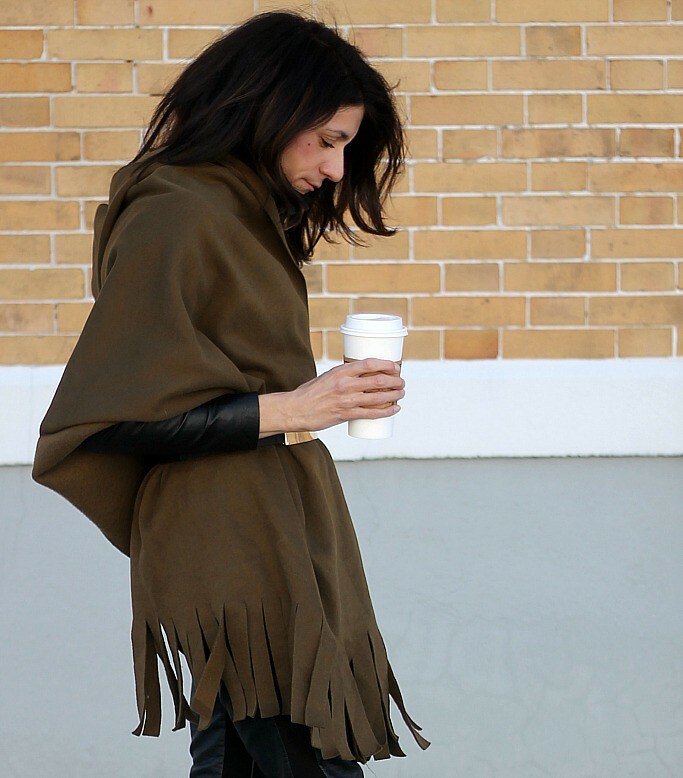 As much as I adore this hooded, fringed cape, it gives my husband yet another reason to tease me. Calling me Robin Hood, and calling the whole look "shire-chic" He's a riot...or so he thinks. Although I can't say I don't see what he see's, I can say that I am in love with this piece despite it all. Due to the insanely frigid temps in NY, the only way to really rock this piece right now, is again, to layer with leather, and of course belting it to hold it all together. These pics were taken right down the street from my new shop. It's coming along nicely, insane amounts of stress and all. I am hoping to be open in the next few weeks and I will give you all the details when I do. I did start a FB page (although there's nothing on it) so you can "Like" that HERE to get updates which will be coming soon! This entry was posted on Monday, February 16, 2015 and is filed under black,green. You can follow any responses to this entry through the RSS 2.0. You can leave a response. Fabulous cape! Thanks for sharing with Visible Monday, xo.